The Eastern Cape province in South Africa offers pristine beaches along the warm Indian Ocean, game reserves teeming with wildlife, luxurious safari lodges, as well as traditional South African hospitality. A superb region offering incredible diversity; the location for a holiday adventure of a lifetime. Visitors can explore the Eastern Cape and experience the green-fringed coastline, remote, peaceful villages, and white sand dunes for days. 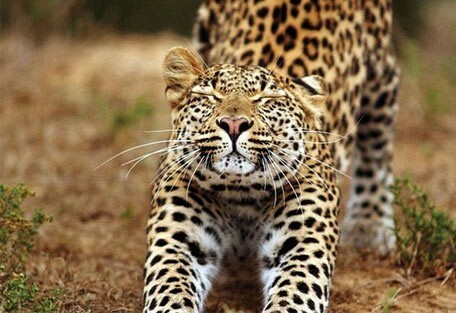 The area offers unique mountain ranges, ancient forests, indigenous fynbos, as well as some of the best nature reserves and game parks in South Africa. The Garden Route, situated along the Eastern Cape, incorporates some of the most scenic venues in the country. A route along the lush coast, beginning in Mossel Bay in the Western Cape to Storms River in the Eastern Cape. The name, Garden Route, comes from the ecologically diverse vegetation encountered along the way, and the numerous lagoons and lakes dotted along the coast. Alternating between sweeping sand, river mouths, rocks and coves, the Eastern Cape coastline is a paradise for water sports enthusiasts and beach bums alike. The Eastern Cape offers scenic diversity, ranging from the evergreen Tsitsikamma Forest to the rugged Baviaanskloof Wilderness Area, the southern slopes of the Drakensberg and the arid Great Karoo. The Wild Coast (East London to just before Durban) is one of South Africa's most exciting and unexploited areas, with a special appeal for fishermen all year round. 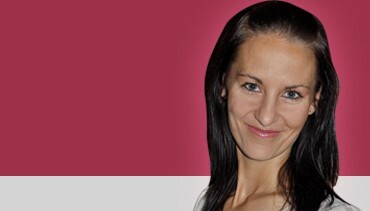 It is rich in South African heritage and boasts tropical temperatures year-round. 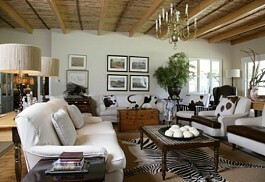 The Eastern Cape is littered with fantastic, luxury, safari destinations. 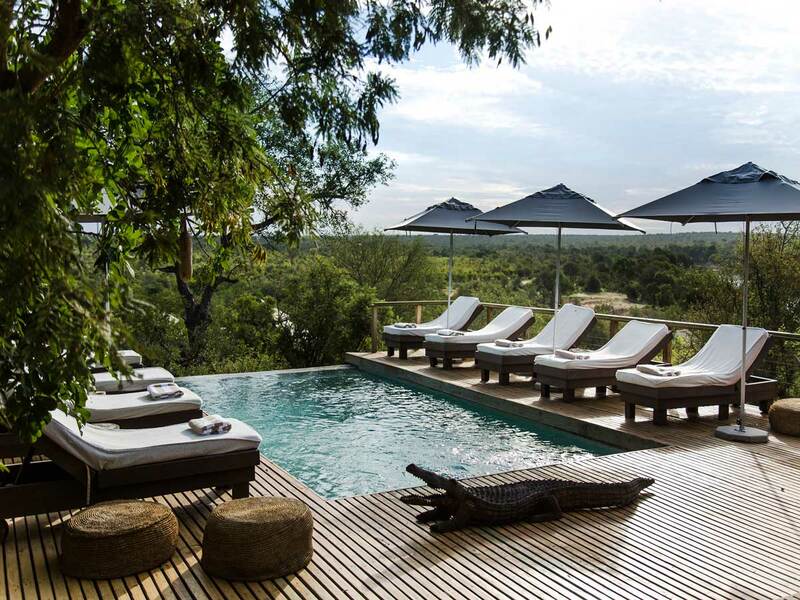 Private Game Reserves include Shamwari, Kwandwe, Lalibela, and Amakhala; all of which are centred around a conservation ethic and offer biodiverse environments. 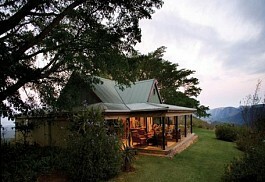 5 Star exclusively-booked lodge located in Hopewell Private Game Reserve in the Eastern Cape. 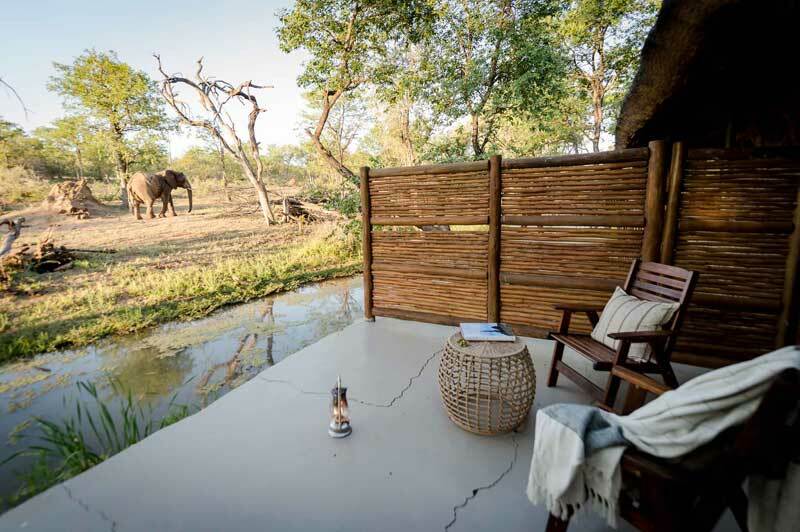 Luxurious, secluded suites, each designed with a contemporary safari feel, encouraging guests to relax into their environments and enjoy prime views of the green landscape from private balconies. 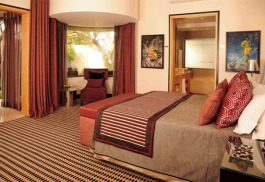 No5 Boutique Art Hotel is a luxurious hotel located in the beach suburb of Summerstrand, Port Elizabeth. Guests can look forward to intimate dining at the hotel and adventurous watersport activities. Kwandwe means "Place of the Blue Crane" in Xhosa; Blue Crane being South Africa's endangered national bird. The reserve is home to a population of these rare birds. 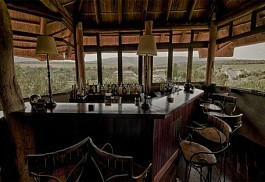 Guests are ensured of an exceptional safari experience in a region steeped in history and culture. 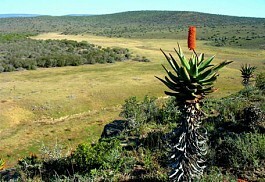 The Amakhala Game Reserve was formed in 1999 as a joint conservation venture. 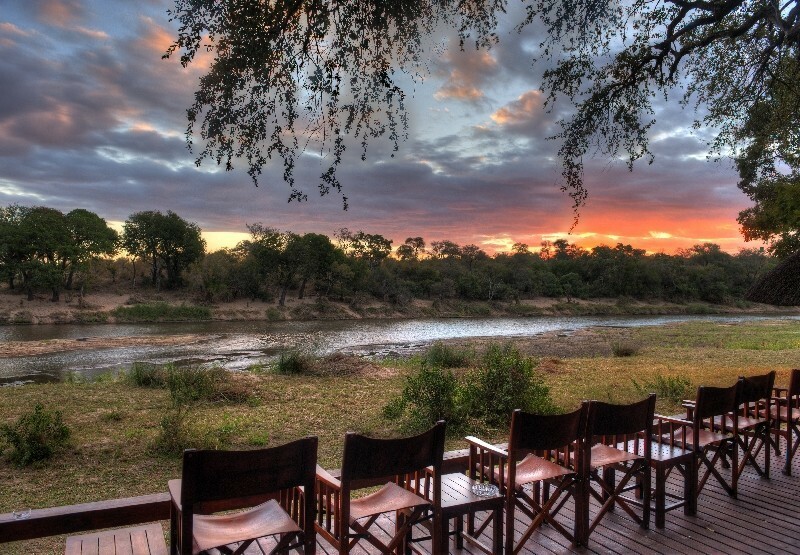 The reserve offers a variety of luxurious owner-managed lodges. Enjoy a unique safari experience in an area that allows animals to be re-introduced to the area where they once roamed freely. 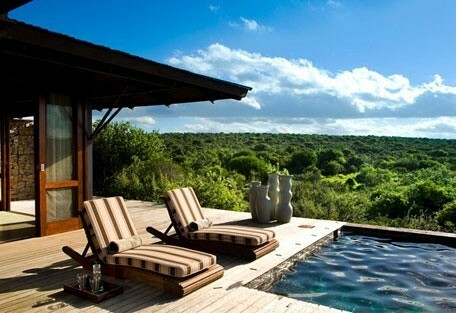 The game viewing at the pristine game reserves along the Garden Route is spectacular. 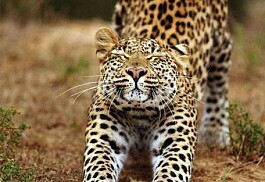 The area is home to the Big 5, as well as an abundance of general game, including endangered species. 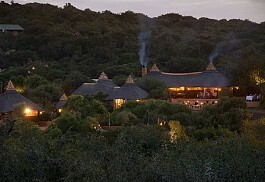 The game reserves are exclusive and offer guests a unique safari experience. The area is malaria-free which makes it ideal for families with young children. 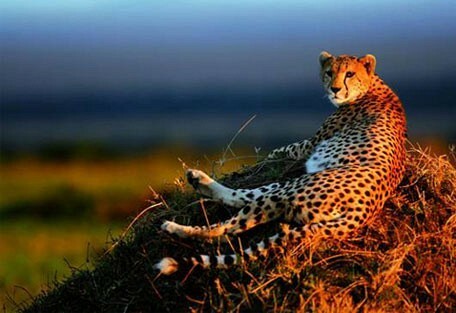 The Eastern Cape offers prime African bushland and includes some of the world's leading game reserves that have been targeted towards conservation of South Africa's unique heritage. 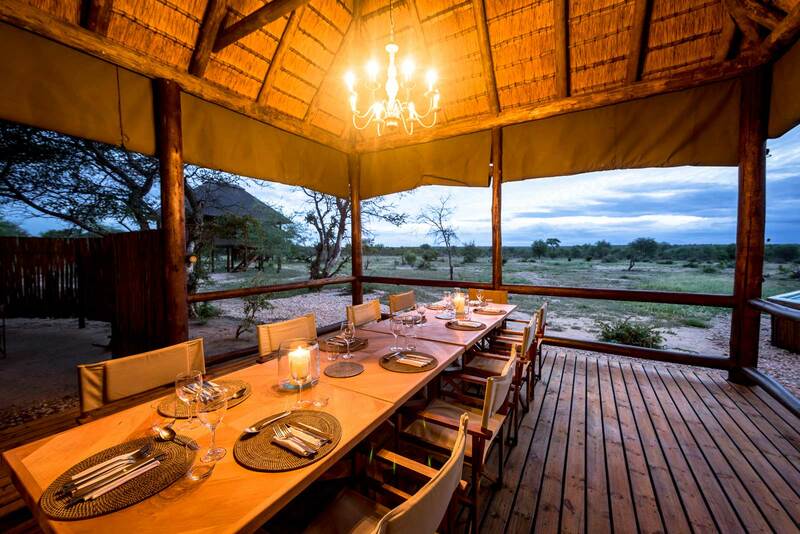 Guests can expect to see lion, elephant, buffalo, giraffe, wildebeest, zebra, black and white rhinoceros, hippopotamus, kudu, springbok, bushbuck, grey duiker, black wildebeest, gemsbok and zebra. Visitors will experience the culture and heritage of the region, spectacular wildlife, a large variety of adventure and outdoor activities as well as 9 tourism routes. Most popular along the Eastern Cape's Indian Ocean coast is the world-famous Garden Route, which includes both an exploration of game parks and cultural hotspots. The Eastern Cape has mild winters and sunny summers making for an ideal holiday destination, all year round. The winter season lasts from June to August, when temperatures range from 8 degrees Celsius when its coolest at night and in the early morning, and around 20 degrees Celcius during the day. The summers months are sunny and warm, occuring from December to March, with temperatures ranging from 18 degrees Celsius to the low to mid 30s during the day. The peak rainfall (500-650 mm) occurs during spring, which occurs during September, October and November, and in autumn, which lasts from March until May. 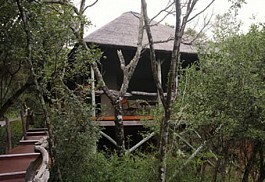 Amakhala Game Reserve is a unique private game reserve that employs a commendable conservation initiative in its operation. It allows animals to be re-introduced to the area where they once roamed freely and so making a contribution to the conservation of South Africa's natural heritage. 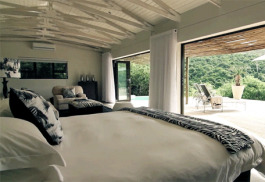 Accommodation is offered in a range from rustic to ultra-luxurious. 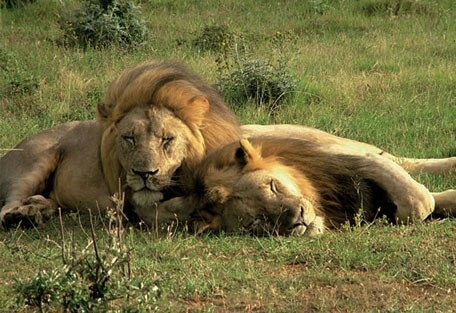 At Shamwari Game Reserve, a dedicated and systematic re-introduction program was launched, and in October 2000, the first lions were brought back to the Eastern Cape and released on the reserve. Constantly working on conservation of big cats and other species, Shamwari is the ultimate safari destination on the Garden Route. 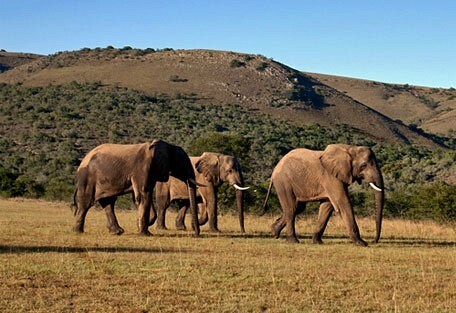 Addo Elephant Park is the home of the elephants in the Eastern Cape. It offers a choice of elephant activities to supplement a visit to this National Park; such as, walking with elephants and elephant-back rides. 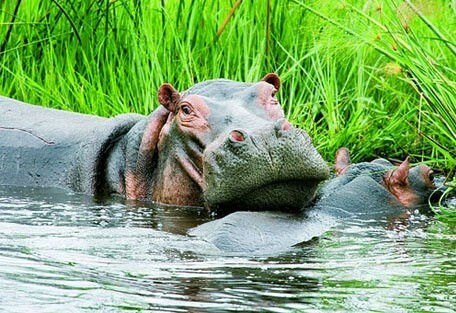 It is located near the city of Port Elizabeth and ranks 3rd as South Africa's biggest game reserve. Sun Safaris can arrange scheduled flights for guests into Port Elizabeth, George and Cape Town airports; depending on where guests are headed. 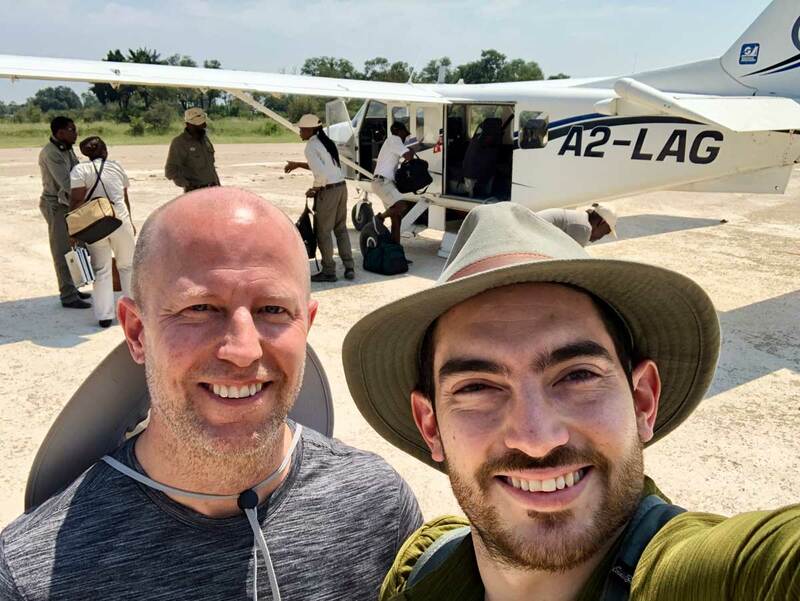 Upon arrival, Sun Safaris can either arrange a rental car for self-driving guests, or a private driver and guide for a more luxurious alternative. Guests can self-drive from anywhere in South Africa to the Eastern Cape; drive time depending on where one is driving from. There are luxurious safari locations along the luscious coast of the Eatern Cape, many of which are primarily targeted towards conservation of the biodiversity and endangered species. Many guests wanting to experience the Garden Route do so on their own time, in hired vehicles. Sun Safaris will provide maps and suggestive information for those embarking on self-drives.